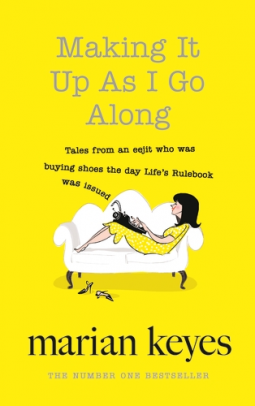 Welcome to the magnificent Making It Up as I Go Along - aka the World According to Marian KeyesT - A bold, brilliant book bursting with Marian's hilarious and heartfelt observations on modern life, love and much, much else besides. Such as? you are determined to ask. Well, how about her guide to breaking up with your hairdresser? Or the warning she has for us all after a particularly traumatic fling with fake tan. There's the pure and bounteous joy of the nail varnish museum. Not to mention the very best lies to tell if you find yourself on an Arctic cruise. She has words of advice for those fast approaching fifty. 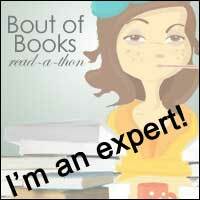 And she's here to tell you the secret secret truth about writers - well, this one anyway. You'll be wincing in recognition and scratching your head in incredulity, but like Marian herself you won't be able to stop laughing at the sheer delightful absurdity that is modern life - because each and every one of us is clearly making it up as we go along. Review: I love a bit of non-fiction to break up the novels apeverything now and again and some non-fiction from one of my favourite fiction writers is a double treat! I really enjoyed reading Under the Duvet by Marian Keyes and so I knew I would love this one too. Boy did this book made me laugh, and when I put it into the context of the fact that I was reading this whilst travelling on my own on an 8 hour flight surrounded by business men, that just shows you how funny it was! The structure of the book is fabulous and lends itself really well for dipping in and out of. There are several columns that have been written for various publications in each chapter, as well as some that have been previously unpublished and so each column or article only lasts for a few pages but links with the previous and the general theme of that chapter. Marian also helpfully includes a cast list, explaining who each person is, including the celebrities that appear in her writing! Needless to say I really loved the structure, and this book would be amazing for reading on your commute, or for that snatched few moments of peace at home! The articles themselves are about all different kinds of things. I really liked hearing all the different kinds of make up she has and the nail varnish museum. The travel section is also fabulous because Marian just voices all the various travel anxieties and annoyances we all have when going on holiday or travelling for work, so so funny! The thing that I liked best about the articles was how honest they are. She talks about her writing, her health, her family and television and every single word she writes is spoken straight from the heart and completely to the point. This was a really pleasurable read and certainly entertained me on a long flight! If you've only got short amounts of time to read this book would suit you too because of the short structure, but it would also be fab gobbled up all in one, in any order you want. I holy recommend this from one of my favourite writers!